Anyone that has been at the RAC long enough, knows Michael Gonzales. His outgoing personality and sheer zest for life make him stand out. But there are some things you might find surprising about this Membership Team Member; for instance he has struggled with weight loss himself. We sat down with Mike as he opened up about his weight loss journey and a little about what has helped him get to where he is today. Q: Many of our members, and even team members know you as the active and healthy Mike that is here every day working out or helping prospective members out with membership questions. Some may not know that you were once overweight. Can you tell us about your journey and where it all began? 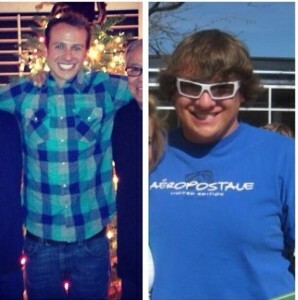 A: I was extremely overweight in high school, and never felt confident about my appearance. My girlfriend at the time made a comment one day basically saying, ‘I wish you were skinnier’ and I took that personally. We broke up shortly after and I used that as motivation to get healthy. I started working out like crazy and it all sort of happened from there. Q: What was your weight at the time? A: 285 pounds was the highest I ever got up to. I was 18 years old at that time. Q: Tell us when Raintree entered your journey. A: I moved here from Colorado Springs in August of 2009 and within days I joined the Pulse. At that point I had already lost 60 pounds. My goal was to lose 100 pounds. I started out using the StairMaster and weight lifting almost seven times a week and found that I had plateaued. Searching for further results, I started playing basketball and lost the additional 40 pounds. 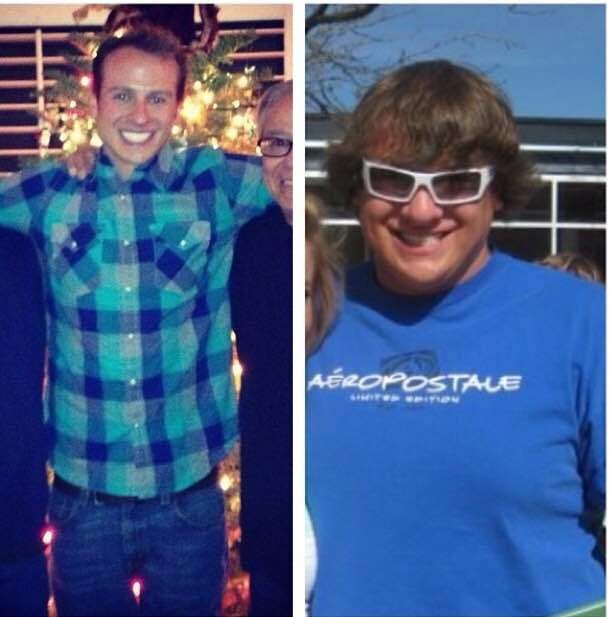 Probably a year and a half later I got down to 185 pounds and I will never forget that. I stepped on the scale in the locker room and was overcome with emotion. A: I screamed a little bit. I called my parents, I cried a little bit. It was a big moment for me, for sure. Q: When did you start working as a team member at the RAC? A. I joined the front desk team in September of 2012. I am grateful that I had the opportunity to join the team, use my membership, and meet my current girlfriend Meghan. She was leaving her spot on the membership team for a new opportunity, and due to my outstanding personality and sheer good timing, I was able to fill that position, which I still hold currently. Q: What is the best part about being on the RAC membership team? A: It’s a great opportunity to meet new people and promote the club. I can introduce someone to a healthy lifestyle using all the amenities we offer here just like I did and continue to do. Q: Your current girlfriend, Meghan, is a group fitness instructor here at the RAC. What kind of influence does she bring to your life? A: Meghan has had tremendous influence on helping me keep those unwanted pounds off. We enjoy exercising and being active together. She’s a great supporter and is always pushing me to be the best Michael that I can be. I am so grateful for her and her passion for life and people. It rubs off on me and makes me a better person. Plus, she forced me to do some BodyPump and BodyAttack classes at the club, and those are great! Q: What is your favorite thing to do in the club? A: Basketball, weightlifting and TRX workouts. Some of the group fitness classes proved to be really beneficial too. Q: You are a huge sports fan. Where did the passion come from? A: My dad took me to Rockies games and the first game at Coors Field Dante Bichette hit a game-winning walk-off homer – it was awesome. I played baseball growing up and played lacrosse until I got lazy — cue the weight gain. My parents always watched sports as I grew up – I’m pretty sure this sparked my passion. 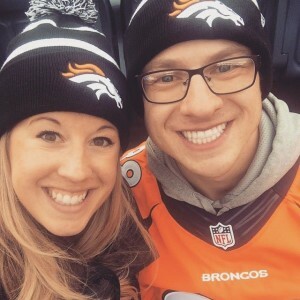 I am a huge Broncos fan, Packers fan. I just love the competition and the team aspect of it. Q: Tell us something that someone might be intrigued to know about you. A: I have an older half-sister who lives in a nursing home in California who has cerebral palsy. I also have a brother who has a learning disability that really hasn’t been diagnosed as anything, but he is just a little slower than most kids in the classroom. He also has a seizure disorder, so he is not able to drive or do anything like that and he lives at home with my parents. That has been a huge influence on my life as well. Just growing up with a brother and a sister who both have special needs. My Dad is the best dude I know… he and my Mom raised me and my siblings the best way possible. They did whatever they could for us and that is the parent I want to become in the future. Q: It’s given you a unique mix of who you are. You can be downright serious when you need to be, but you’ve got an awesome sense of humor and that is what we see here. That is a credit to your parents, isn’t it? A: For sure. It’s hard and I can’t even imagine what my dad went through having to do that. Discipline was always a big factor, you know because I got in trouble in high school because I was a dumb 16 year old who did stupid things. I was always in trouble, but we were always able to laugh about it now when we bring up some of the things that went on. They were a big influence for sure. AAAND, besides having a warped and hilarious sense of humor, Michael is terrifically loving and sincere! Excellent interview! I love you, Mikey!